Doctors have saved the life of an unborn baby after his mother was shot dead with a crossbow. Heavily pregnant Sana Muhammad, 35, who was formerly known as Devi Unmathallegadoo, was fatally injured at her home in Applegarth Drive, Ilford, east London, on Monday, but medics managed to deliver her son in hospital. Her husband Imtiaz Muhammad, told the Evening Standard that she was shot in front of her five other children, aged between one and 17, after he found her killer hiding in their garden shed. The 42-year-old told the newspaper: “I went to put a cardboard box in the shed. “He was there with the crossbow loaded. “He stared at me, he was going to shoot so I ran into the house. “My wife was doing the washing up, I was shouting ‘run’ ‘run’ ‘run’. A Metropolitan Police spokesman confirmed that the baby had been delivered in hospital, where he remains. Neighbour Nisa Khan, 40, who lives across the road from where the victim died, said: “It’s just terrible, it’s horrible, it’s not been a good time for us since yesterday morning. “She was more like a sister than a friend. I knew her for a good seven years, ever since they moved there we’ve known them. “She was just a lovely lady, lovely mother, lovely wife. I never saw her being upset, she always had a smile on her face even in the hard times. “It’s just horrible, everyone goes from this world, we all go, but the way she’s gone it just hurts. Another neighbour said he had heard a man screaming for help at the house on Monday morning. 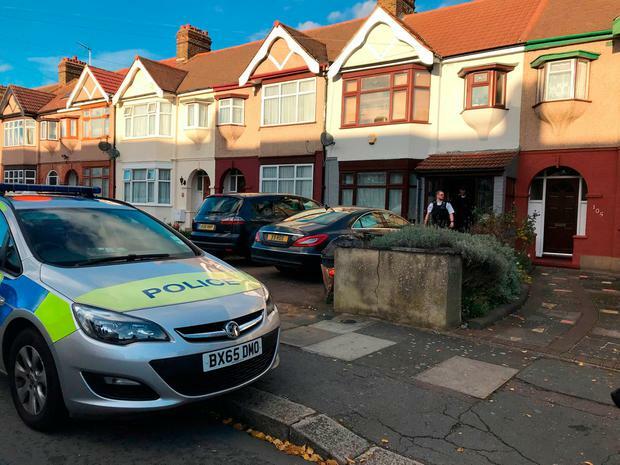 Ramanodge Unmathallegadoo, 50, of no fixed abode, appeared at Barkingside Magistrates’ Court on Tuesday accused of her murder and is next due in court at the Old Bailey on November 15.